There are very distinct elements of the Carrying of the Cross in Frodo's and Sam's trek towards Mt Doom. The text has so many points of similarity between the burden of the Ring ol Evil that Frodo carries, and the burden of Sin [symbolized by the Cross] that Jesus bore, it is astonishing. "Frodo seemed to be weary, weary to the point of exhaustion. He said nothing, indeed he hardly spoke at all; and he did not complain, but he walked like one who carries a load, the weight of which is ever increasing, and he dragged along, slower and slower, so that Sam had often to beg Gollum to wait and not to leave their master behind. 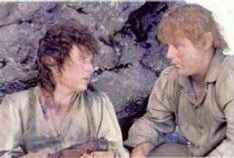 Frodo bears the burden of the Ring, but Sam bears the burden of caring for Frodo and at one point actually carries Frodo. Sam is also shown to be a co-participant in the role of salvation for Middle-earth; a sort of Simon of Cyrene character who helped Jesus carry his Cross on the way to Calvary. Frodo is the 'sacrificial lamb' for Middle-earth; he is weak and defenceless in his trek through Mordor, he is bruised and stricken but refuses to use the enemy's methods - and because of this wisdom of not using might to fight the battle; in the end, the lamb overcomes the lion. But his own future enjoyment of the Shire is compromised and his life forever altered. Both Frodo and Sam sacrifice a quiet life in the Shire and venture into the unknown. On more than one occasion in the books it is shown that both characters intensely wish they were home in the known and safe elements of Hobbiton. 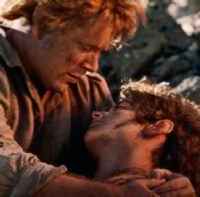 Frodo and even more especially Sam, epitomizes the gospel truth that, 'One can have no greater love than to lay down one's life for another'. Their friendship is true friendship. It is built on self-sacrifice and love. "The Kingdom of God belongs to the violent and those who take it by force." [Matt 11:12] - which is referring to the violence of love, that gives everything and even oneself. 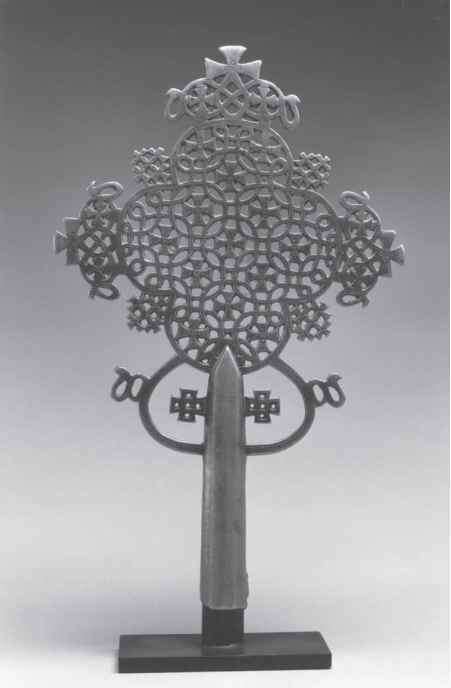 It also refers to those who fight their inclinations to evil. In one of his letters, Tolkien points out that "Frodo is not a pacifist." [Letters p.255], i.e. he is not someone to sit passively back and do nothing in the face of on-coming evil. [Edmund Burke - Irish philosopher]. And the return of a more powerful Gandalf is integral to the final successful outcome of Middle-earth. Gandalf is increased in sanctity by his sacrifice and he returns more powerful than before. Gandalf is like a martyr who gives up his life and it bears extraordinary fruit. He is increased in sanctity and moves higher in his Order of Istari as he now takes Saruman's place as the head of the Order. He humbles himself and is raised up. His increase in power is still used for good in uniting all those who oppose Sauron.